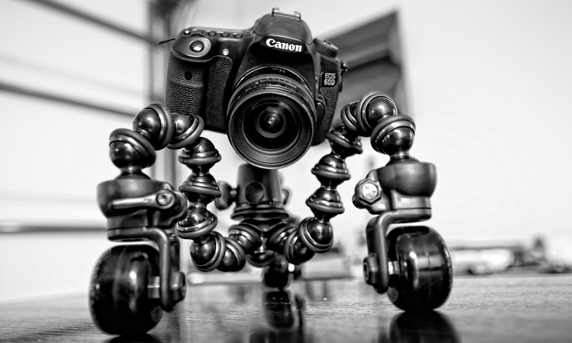 You’ve got to love this idea… These CineSkates attach to the bottom of the popular GorillaPod tripod and allow the camera to smoothly skate along on the ground. You can do straight dolly shots, move the camera in circles, or even create moving time-lapse videos. Justin Jensen conceived the idea and raised the initial funding through Kickstarter. The system is available for cameras of all sizes, from the iPhone to the heaviest of DSLR’s.